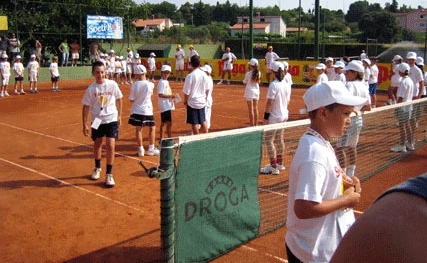 The 10th Annual Smrikva Bowl, held June 29th-July 3rd at the Smrikve Tennis Club in Pula, Croatia, was even larger than last year as 90 boys and girls from around Europe came to compete. 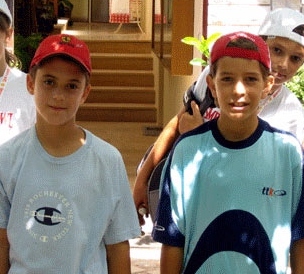 The group of players age 10 and under played for the tournament's trademark mountain bike first prizes. 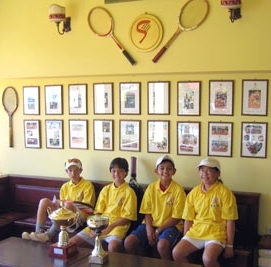 In addition to the Smrikva Bowl events, the tournament teamed with the Maureen Connolly Brinker Foundation of the United States for the fourth year and held the Little Mo/Smrikva Bowl. 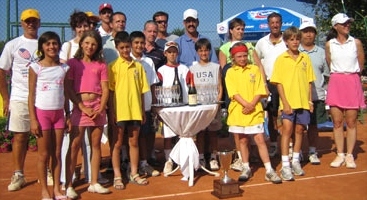 The participants (pictured right) competed in a team format event which the European Smrikva team won for the fourth consecutive year. This year's competition was a little closer at 5-3.